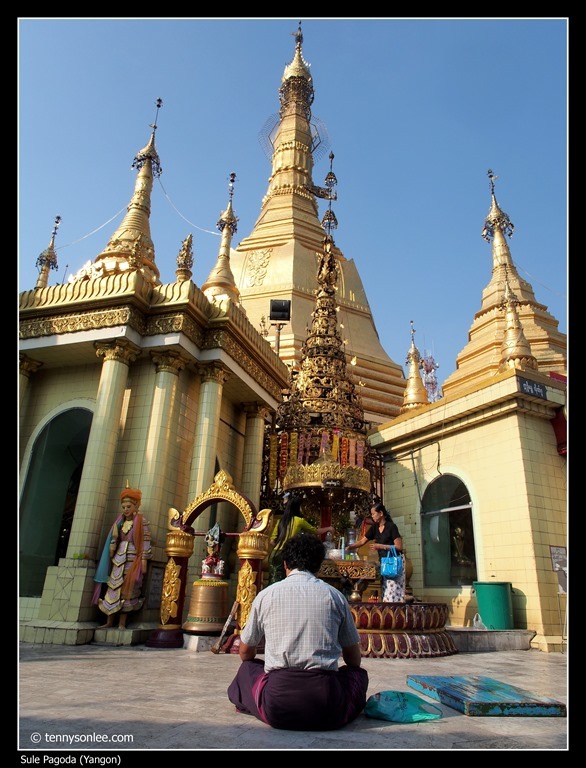 The most accessible of the ‘big 3’ temples in Yangon. 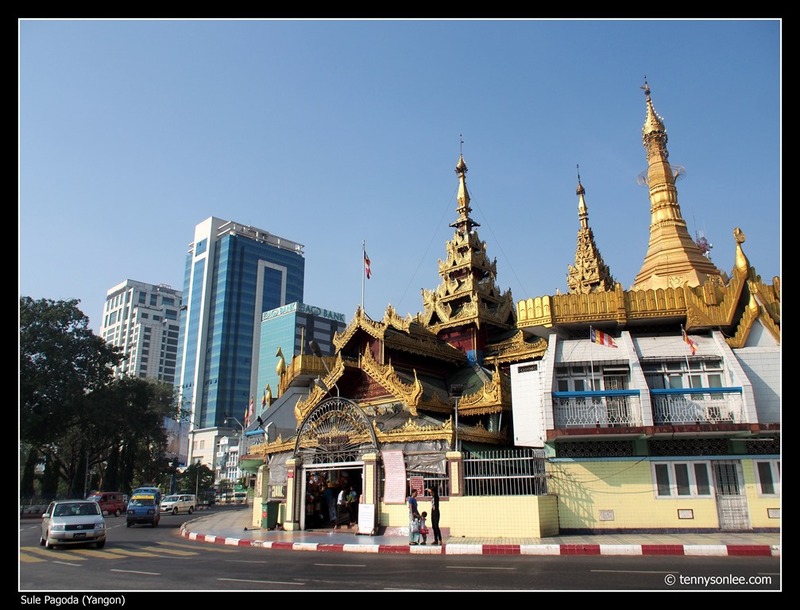 Sule Pagoda situated on a roundabout in the middle of downtown Yangon. The location makes Sule Paya (Pagoda) visible from many parts of the city. Sule is derived from the word su-way meaning ‘meeting‘. 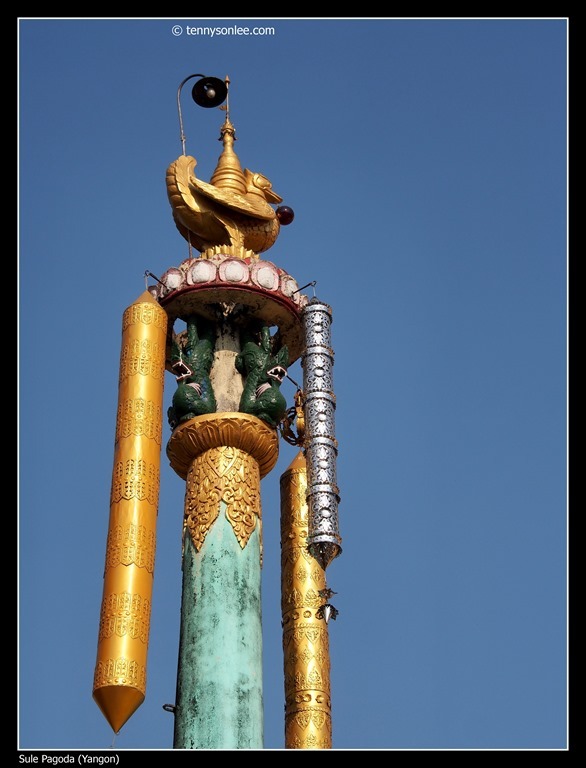 The gilded stupa is 48m tall. One could finish a clock-wise tour in less than 30 minutes. The 2,500 years old pagoda worth to pay attention to its details. 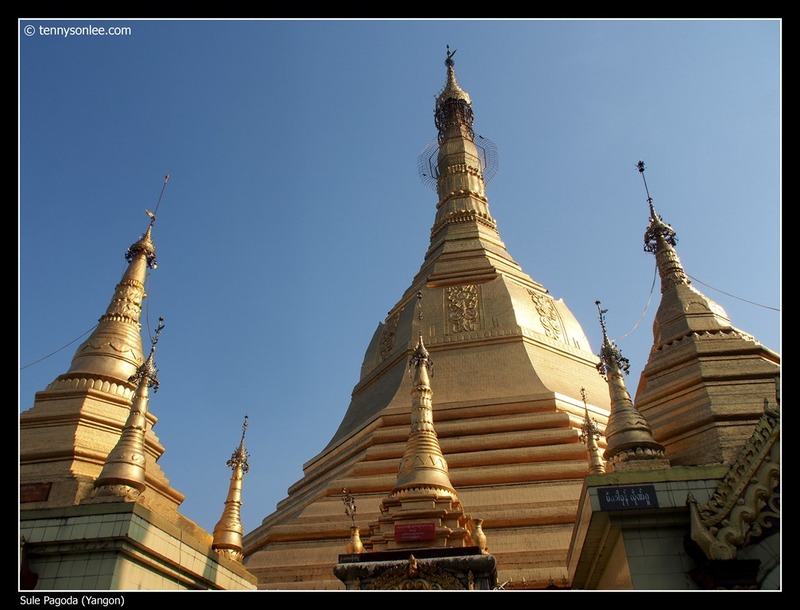 The central location make Sule Pagoda a good starting point of walking tour around Yangon downtown. This entry was posted on February 12, 2013 by Tennyson. 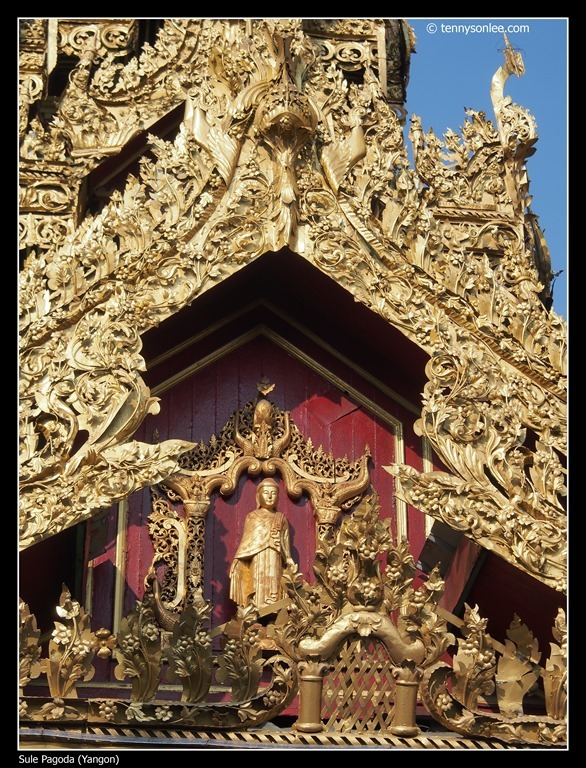 It was filed under Architecture, Culture and Religion, Myanmar, Yangon and was tagged with Sule Pagoda, Sule Paya.